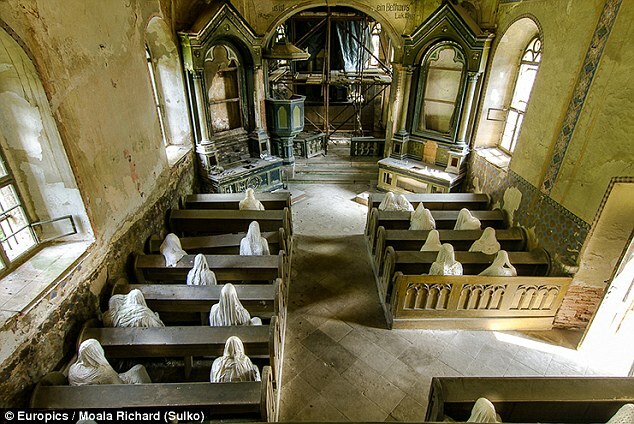 This Church In The Czech Republic Actually Has Ghosts In It! This Remote 14th-Century Church Is Now A Major Tourist Attraction, All Thanks To Its Ghosts! After the roof of St. George’s Church in the village of Lukova in the Czech Republic caved in during a funeral service almost 40 years ago, it has been generally avoided. The villagers, convinced that the church was cursed, preferred to hold their services outside. 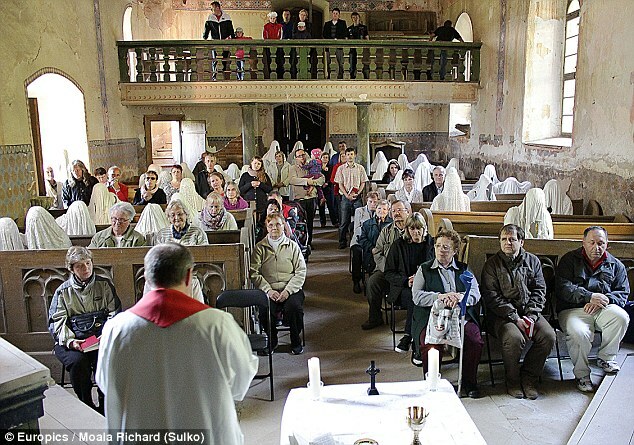 Then, artist Jakub Hadrava was commissioned to create artwork in order to draw visitors to the 14th-century church in a remote Czech village. It wasn’t going to be an easy task, but Hadrava nailed it: he installed ghosts in the church. 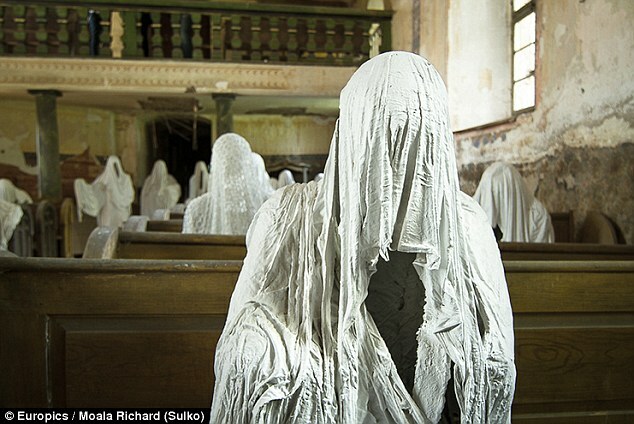 His artwork, which consists of a number of “hooded ghosts” made of plaster seated on the pews and standing across the aisles, was installed in the church in the summer of 2014. Ever since, the church has received countless visitors who have poured in from places as far away as Brazil and Australia to get a glipmse of the haunting artwork. These visitors have, in turn, left enough money so that St. George’s church can now get the repair work that it badly needs done. The church was built in the year 1352, and still retains its original pillars. The money that continues to be raised from the major tourist influx will finally allow the church to regain its lost glory. Also see: 22 Mysterious facts and incidents that still remain unexplained to this date! Previous article 10 Facts About Johnny Depp That’ll Make You Love Him Even More! Next article 15 Interesting Facts About Nikola Tesla that will give you Shock Waves! 10 Facts About Johnny Depp That’ll Make You Love Him Even More!